A Seattle mother of three was thrilled when she got a Section 8 voucher to help pay for housing. Then she tried to use it. Dana Disharoon rifled through paperwork in her car, checking one more time that she had everything she needed to prove herself a viable tenant. Minutes before, the 35-year-old bartender, wearing a bright pink blouse, her hair clasped neatly behind her head, had looked at an apartment in Seattle’s Ravenna neighborhood. Dirty pots cluttered the sink. A cloud of film covered the large window in the dining nook. But it was in a pleasant red frame house. And spacious — a 1,200-square-foot three-bedroom that could easily accommodate her and her three daughters, ages 2 to 11. It was certainly bigger than her car, which sometimes served as her home, as she feared it might again if this apartment didn’t work out. “It would be perfect,” she said, as she headed toward the property-management office that would decide her fate. 60 days: Typical length of time to find a willing landlord before voucher expires, with a possible extension of up to 60 more. She needed a decision soon. In the race for housing that had become her life, she had six days. After that, her federal housing voucher would run out. Theoretically, a Section 8 voucher offers the ability to rent anywhere in the city, as long as the rent is within certain limits. The program is the surest way to stave off homelessness, according to the first large-scale study of the matter released in July by the U.S. Department of Housing and Urban Development and Vanderbilt University. Yet, those lucky enough to get a voucher — in most cases, you literally have to win a lottery to get a spot on the waiting list — run up against the realities of the housing market. In 2015 Seattle, that means a historically low vacancy rate, astronomical rents that often exceed Section 8 limits and a Darwinian competition among prospective tenants. In the eyes of landlords, a subsidized tenant is not necessarily the fittest — not when the rental pool contains more affluent people than ever before. “It’s just cutthroat out there,” said Stacey Marron, a housing advocate at the nonprofit Solid Ground. That’s true for everyone, and even more so for those with vouchers, agrees Cynthia West Setel, Section 8 director for the Seattle Housing Authority (SHA). Nevertheless, SHA is bound by federal guidelines to give voucher holders a deadline to find a willing landlord: typically 60 days to start, and up to 60 more if they have trouble — which they usually do, according to Setel. In the past two years, roughly 270 people had their SHA-distributed vouchers expire before they could use them. It’s a phenomenon with broad implications as homelessness policy locally, and nationally, shifts toward sending people out into the private market rather than into housing built or targeted specifically for those in need. In late March, Disharoon got a call from her oldest daughter’s charter school. “You got it!” exclaimed a caseworker who helps families at the school secure housing. Amid boom times, our region — like the rest of the nation — has grown more unequal in income and opportunities. 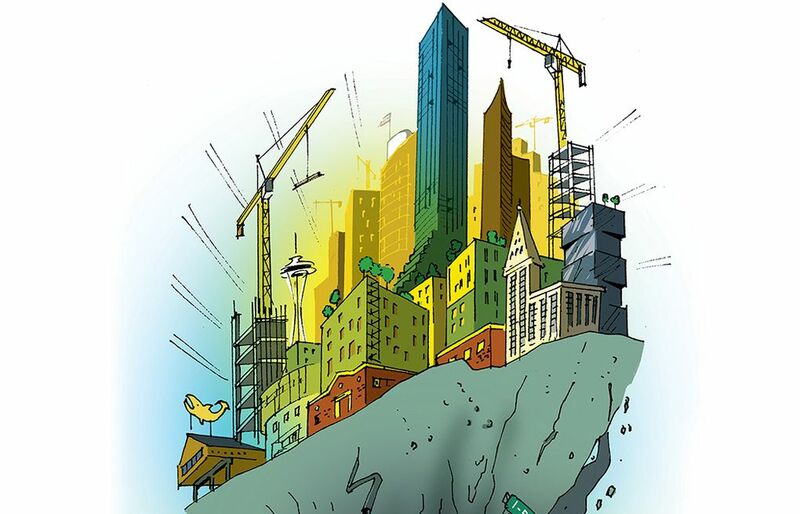 Click here for other looks at how the income gap is reshaping life around Seattle. The caseworker was referring to a special kind of Section 8 voucher reserved for families at risk of separation, often because of domestic violence. “It’s almost like the golden ticket,” Disharoon said. She knew that she had, in a sense, jumped the queue. Last spring, SHA had its first Section 8 lottery in two years. There were 2,500 waiting-list slots; 19,000 people had applied. Disharoon was luckier still: Her voucher gave her 120 days to find housing. Things were looking up for the single mom, who describes her troubles as beginning more than a decade earlier. Giving birth to her oldest daughter, she suffered complications that led to a spiraling set of medical problems. Among them were seizures that made it hard to work. She became financially dependent on a man who seemed perfect — until he wasn’t. Despite repeated episodes that resulted in domestic-violence charges against him, it took her years to get out of the relationship. She was living in Pierce County at the time, sometimes staying with her parents when things got rough. She felt she needed to get farther away. In April 2014, she packed her bags and drove with her kids to a shelter in Seattle. From there, using the 211 line that accesses King County’s shelter and housing system for homeless families, she bounced around temporary shelters. When time ran out at one, and she hadn’t yet found another, she stayed in her beat-up Toyota Camry. She didn’t tell anybody. “I was afraid my kids would be taken away,” she said. A few months later, a spot opened up at a building of so-called “transitional” units, part of a larger complex run by Solid Ground at the former Sand Point naval station. She was told she could stay there for a year. She scrubbed her small two-bedroom, hung colorful paintings made by her middle daughter on the wall and put a toy chest in the corner. Feeling ready to work again, she landed the bartending job at a Greenwood tavern. No problem, she thought. “Then I started looking for places,” she said. The average rent for a three-bedroom in the city limits, where the voucher obliges her to look, stands at $2,568 a month, according to Dupre + Scott Apartment Advisors. Even in July, when Section 8’s rent limits went up, they didn’t reach the average. With Disharoon’s contribution, she could rent an apartment for close to $2,000. She scoured a half-dozen websites every day for listings. “Adam” wrote that he had moved to Ohio, the keys were with him and to proceed, he would need various pieces of personal information. Quite a few ads, it turned out, were linked to people who had supposedly moved out of town. Others Disharoon corresponded with, or met, told her flat out they did not accept vouchers. This, despite the fact that it’s against the law to discriminate against voucher holders. In late July, just as Disharoon’s Section 8 deadline approached, an older couple had come into the tavern to watch a soccer match. They heard her talking about her housing problems. As it happened, Gordon and Kristin Ellison-Oslin were getting ready to put a rental house up for sale, in part to fund their upcoming retirement. Devoted Christians, they realized they were in a position to help. The next day, they visited Disharoon at Sand Point. “We were taken by what a charming family she had,” Gordon Ellison-Oslin said. The couple offered to postpone selling their house and rent it to Disharoon instead. She couldn’t believe their kindness. But there were hoops to jump through, including an SHA inspection to make sure the house met federal regulations for subsidized tenants. SHA used its discretion to grant Disharoon another 60 days. But that was likely to be her only extension. “We’re supposed to get people housed within 120 days,” Setel said. Going much beyond that risks a slap on the wrist from the feds. She said the authority had recently launched new programs to help, including one that recruited willing landlords. By September, Disharoon was running out of time even to stay at Solid Ground’s transitional facility. She had gotten an extra month’s grace. Yet, she and the families in the 26 other units there have a hard deadline of Jan. 31 to move out. 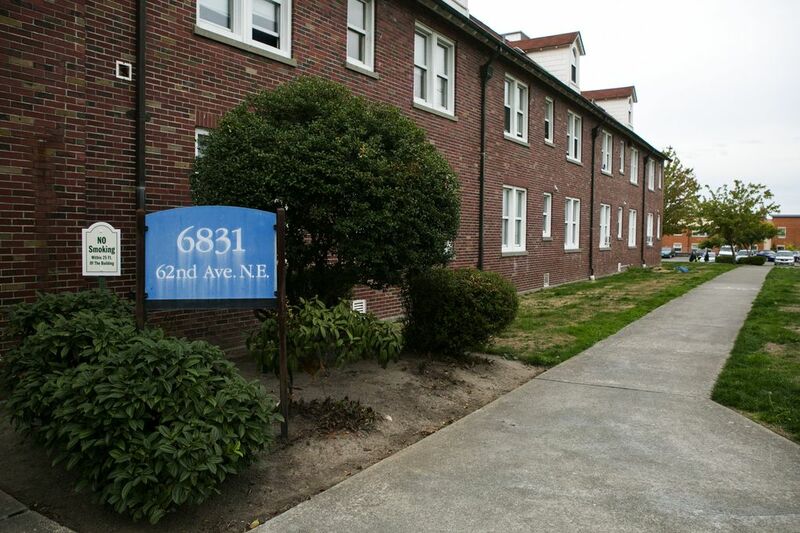 The transitional facility is itself transitioning into a place where residents can live permanently — part of a larger movement among nonprofits and local governments away from transitional housing. Driven by federal funding, the new philosophy holds that people need immediate access to long-term housing, explains Solid Ground spokesman Mike Buchman. Often, this approach translates into sending people into the private market with a subsidy — but unlike in the Section 8 program, it’s usually limited to a few months. That makes some landlords even more wary, according to Daniel Malone, director of the Downtown Emergency Service Center, which has experience using this new model. Those who eventually move into Solid Ground’s remodeled facility won’t need to worry about that. Neither Disharoon nor any of the building’s current residents, however, have dibs on the place. By virtue of the newest bureaucracy around housing policy, those who haven’t found apartments by the end of January will have to call 211 and go through the system all over again. As she drove to Lee & Associates Management, Disharoon had reason to be hopeful. By being first in line for the Ravenna apartment, she had beaten out three young women who also presented themselves as would-be tenants. While they had waited outside, the showing agent had given Disharoon a tour and asked: “Are you 100 percent ready to fill out an application?” If so, Disharoon would need to pay nearly $400 in application and “holding” fees. Disharoon was ready. When she got to the office, she wrote checks and filled out an application. The next day, however, Disharoon heard from the company’s general manager, who wanted to verify that Disharoon earned 2.5 times the amount of rent, $1,995 a month. Not with her bartender income, she didn’t. That was the point of her voucher. With the help of her Solid Ground caseworker, she got it sorted out. Still, doubt lingered over her application. SHA’s procedures meant a potential weekslong delay in processing the first rent check. “I’m sorry, that’s not how it works,” Penney Shelly, Lee & Associates general manager, said in an interview, adding that she wants to be understanding, but doesn’t let anybody move in before they pay rent. The first month may fall to Disharoon. Then there was the SHA inspection, which the authority won’t do until the unit is empty, on Thursday. That leaves just days to fix any problems before Disharoon is supposed to move in. “Best gift ever, assuming everything works out,” said Disharoon, whose 36th birthday is weeks away. If not, her voucher — currently “frozen” while her application is pending — unfreezes. She would then have one day left before it expires.